Remember when Madonna didn’t just copy the style of the month? Alright, never mind. But then, do you remember when we told you about Sir Mix-A-Lot having a Graflex camera in his ’92 video for “Baby Got Back”? Well, Madonna actually did that back in 1985. When Madonna released the video for “Into the Groove” as part of the promotion of “Desperately Seeking Susan”, it featured the Graflex Super Graphic flashing between scenes. I don’t know if the clip is just a bit of the motion picture repeated or a part made exclusively for the video, but the camera is a beast none the less. The Queen of Pop also has a bunch of cameras in this one, but that only last for about 30 seconds. Then the music starts. In 1981 Duran Duran used a Nikon FE to capture three femmes fatales on a fashion runway in their video for “Girls On Film”. 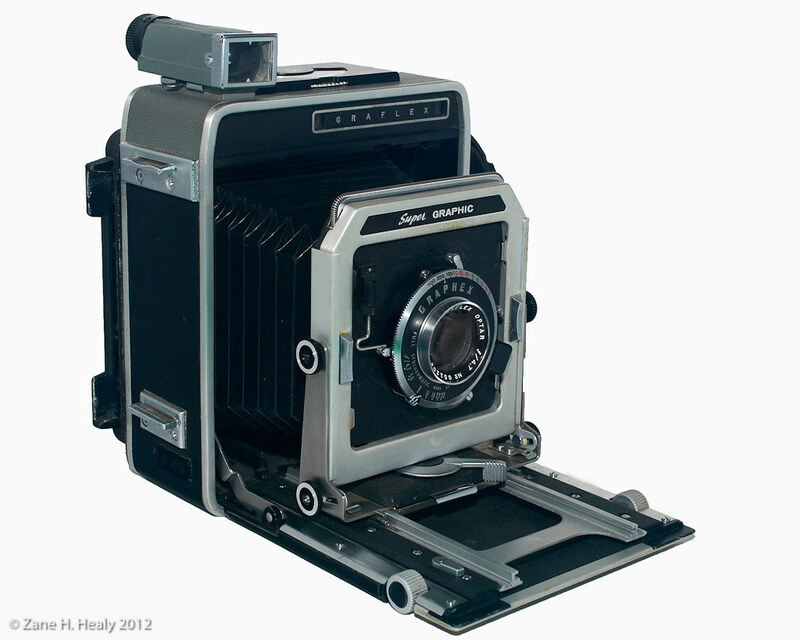 The camera is seen with a Nikkor-s Auto 1:2.8 f=35mm–and possibly an MD-11 or MD-12 motor drive. The song begins with a recording of the rapid whirring of a motor drive on a camera. It was recorded at Air Studios with a Nikon camera which manager Paul Berrow had borrowed for the day from his father. Oh, and if you ask me, I’m guessing that the film loaded in the beginning of the video is a roll of Tri-x 135-36 ASA 400/27 DIN. In 1985 Elton John used the Nikon FM2 with a MD-12 motordrive to capture the beautiful borderguard in the video for “Nikita”. Obviously he hadn’t done a lot of zooming prior to the video shoot. 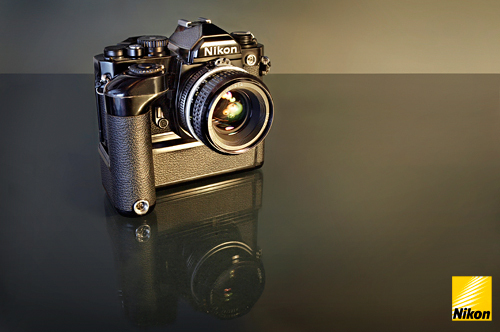 The FM2n (1983) was available in either black or chrome finish. The camera is fully mechanical; its meter (and only its meter) requires two PX76 batteries or one CR 1/3N lithium battery. There is a 1–1/4000 sec shutter speed range, plus B; and an ISO range of 12–6400. Focusing screens are interchangeable (Type III screens for the FM3A can be used). The MD-12 motordrive was optional. I wonder what kind of slide film he used … Probably Ektachrome, since Velvia wasn’t available until 1990.